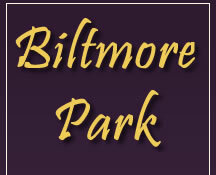 Welcome to the Biltmore Park Association website! Current residents, please register so that you can have full access to all portions of the site--be sure to check out all of our new features! Visitors, and those interested in Biltmore Park, please feel free to browse through the site to get acquainted with our neighborhood. Be advised, some portions are restricted to members only. Officer Todd Brigman is our APD Community Resource Officer. Feel free to contact him by email or phone (828-251-4043) with any neighborhood security questions or concerns. Per our neighborhood rules, overnight street parking is prohibited. Reasonable exceptions are allowed for visiting guests. To report chronic violations, please email our property manager. Trash, Recycle, Refuse--What is the Schedule?? Trash is picked up every Thursday. Recycling is picked up alternate Thursdays. Brush and leaf pickup alternates with recycling. For details, visit the City of Asheville Website. And remember, other than Thursday, trash cans should not be visible from the street. Police have noticed a rash of drivers rolling through stop signs in the neighborhood. Please don't treat a stop sign like a yield sign--be safe, and come to a complete stop before you proceed through the intersection. In 2016 Biltmore Farms Hotels, which include the DoubleTree by Hilton Asheville - Biltmore, the Hilton Asheville Biltmore Park, and the Residence Inn Biltmore, are offering special rates for Biltmore Park residents as shown on the attached rate sheet. Simply make reservations using the "Biltmore Park" name to receive the special rate, based upon availability. The Clubhouse will be closed from April 15 to May 15 for repainting and kitchen upgrades.